In June, we reported that Showtime had ordered 10 episodes of a show based on the Halo video games, making it the latest in a very long line of attempts to turn Halo into something other than a video game (though the original spin-off novels are supposedly really good, at least according to some kids that this particular A.V. Club writer knew in high school). We didn’t really know anything about the project when it was first announced, other than some generic background that lined it up with the main Halo timeline and humanity’s war against the alien army known as the Covenant, but now Showtime is sharing some new details about what we can expect from the show. For starters, main Halo protagonist Master Chief will be “a lead character” (according to Deadline), which implies that he won’t be the lead character. As we noted when the show was announced, Master Chief doesn’t exactly have the depth to single-handedly carry a TV show, so making him an important guy who shows up from time to time instead of the important guy seems like a good idea. On top of that, Showtime is reluctant to say that its envisioning Halo as its Game Of Thrones, but it has hired Lone Star’s Kyle Killen to try and make the hard sci-fi action of Halo appetizing for people who don’t already know about the rich history of the Sangheili, the Jiralhanae, and the other wacky Halo aliens. 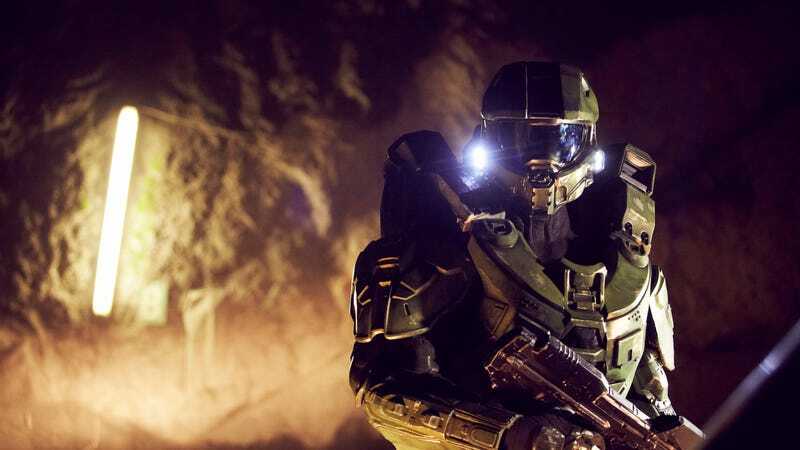 Showtime also says it’s working with 343 Industries, the current shepherds of the Halo series, to make sure that their show doesn’t violate the canon of the games. Bum bum bum bummm, bum bum bum bummm, bum bum bum BUMMM!